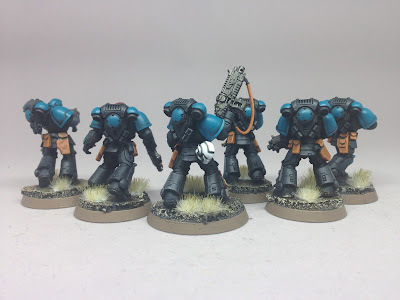 Kris Wall Minis: More Primaris Marines! I was so happy with the test model that I decided to paint up a 5 man squad of Intercessors. It took about four and a half hours of straight painting to get these guys done. That's really not so bad. It does mean that I have about 15-20 hours remaining to paint the rest of the set if I knuckle down. 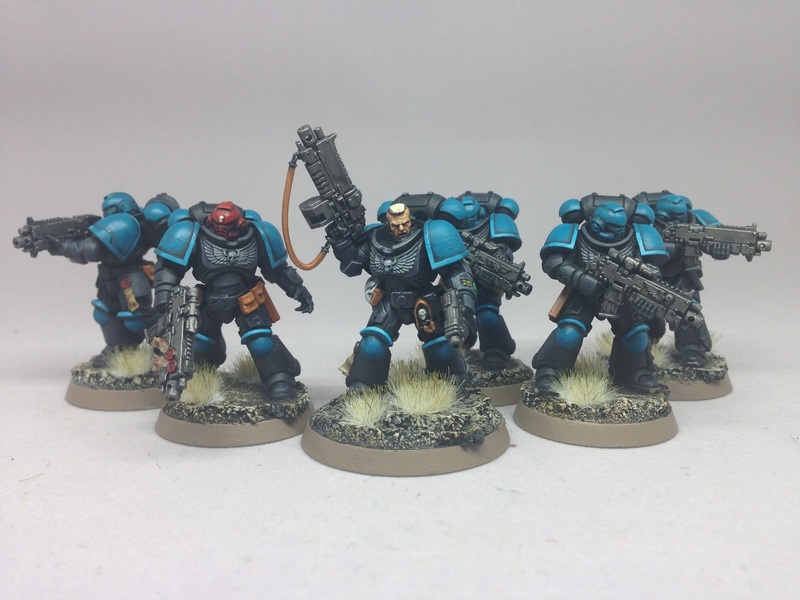 Here they are with the Lieutenant from yesterday. I was worried that they might be a little dark, but I'm digging the overall effect. I made the bases pretty light to act as a contrast. I think your base should always set off the model. I think the pouches make for a pretty solid spot color. I'll write out the full paint scheme in a day or two so that I don't forget.